Why don't you add more to your FAQ page? Your Facebook Page? Why aren't you on Twitter? Well, we'd rather be outside. We hear regularly that we're not leveraging social media avenues enough or marketing to our full potential. No argument here. But life's about balance and prioritizing. Perhaps someday we'll want to spend all our time on the computer...but not yet. In the meantime please enjoy our almost-never-updated website. We focus on keeping other things fresh. We've got plenty of curriculum updates and new cutting edge equipment. We spend our energy there. If we're not teaching than we're out getting after it. Time spent on Facebook and the Twittersphere is time that could be spent on a wave or ginormous granite wall. Life's short. Get outside. Which certification in river rescue should I sign up for? We offer a variety of lengths and customized options in our courses to meet the needs of different individuals. For the most part the content is the same when comparing one 3-day course to another. Don't get too fixated on the label of the certification, instead focus on what skill sets you'll come away with. Determine what you can afford in both time and money and go from there. If you need further coaching on which course to choose, send us an email and we'll happily answer your questions. How often should I re-certify? The frequency in which you choose to re-certify depends largely on how much you use the skills to begin with already. The less you use them or practice them, the more often or frequent you should obtain further training. If your skills are rusty or less than competent, then you need to train and practice. Continuing education is one of your biggest duties as a rescuer and it's up to you to seek out all available resources in which to achieve this. Books, seminars, videos, online sites, custom designed drills within your groups, etc.... options are endless. Avoid complacency and keep yourself sharp. 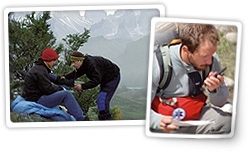 Which Wilderness First Aid certification should I go for? 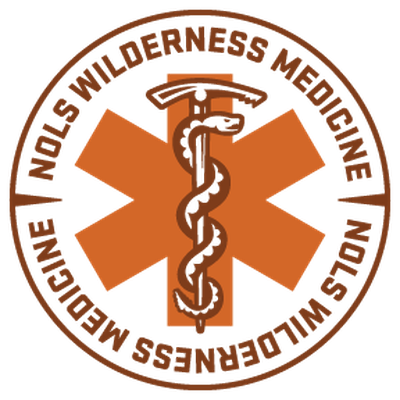 Got to the NOLS Wilderness Medicine website for complete information. It often comes down to time and money when making this decision. The greater the length of the course, the better prepared you are to handle emergencies in the backcountry. The more days involved with the training, the more hours you've spent gaining proficiency in valuable skill sets. Learning First Aid isn't something you simply check off the list of things to do, it is a life-long ongoing process. Many folks who take the 2-day Wilderness First Aid (WFA) course leave satisfied but also wanting more and begin looking to take the 10-day Wilderness First Responder (WFR) course. Many that take the WFR course leave confident, energized and wanting more...and then pursue the 28-day Wilderness EMT course. There are no prerequisites for the WFA or the WFR. Do I need any experience prior to taking a course in swiftwater rescue? No, though those wanting in-water training will need to be adequate swimmers that can demonstrate comfort and competency in basic front and back strokes. You also must have the appropriate Personal Protective Equipment (PPE) to keep you warm and prepared for the elements of this environment.